1. It takes approx eleven shakes of the tree (1 per branch) to down approx 180 grapefruit. 2. 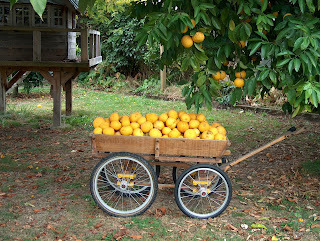 180 grapefruits completely fill a wagon approx 3 foot by 1 foot by piled high. 3. I had to use the children's wagon cos the new one doesn't have a back on it. Yet. 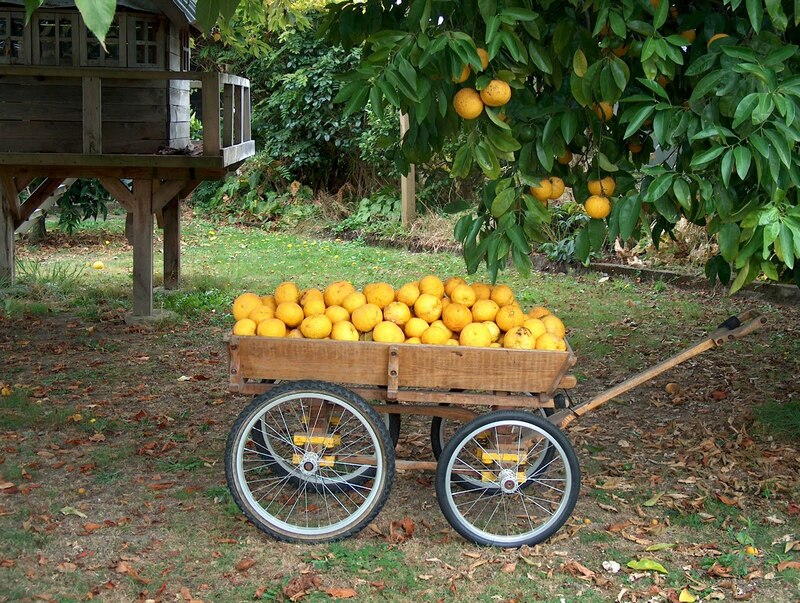 A wagon without a back is useless for grapefruits. In fact it isn't a wagon at all. It's a dray. 4. 120 grapefruits take approx 50 minutes to squeeze by hand. 6. Approx 0 members of the BHPC are in a position to challenge these claims. 7. Approx 0 members of the BHPC want to. 8. I have a sore shoulder. 9. And the kitchen floor's all sticky. 10. And I've still got sixty to do. 11. And the tree's still got hundreds and hundreds on it. 12. Whinge whinge whinge etc. for quite a long time.